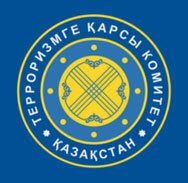 The United Nations Office on Drugs and Crime (UNODC), with the collaboration of the Academy of Law Enforcement Agencies under the Prosecutor General’s Office of the Republic of Kazakhstan, has built a PVE Network for experts in Kazakhstan, Kyrgyzstan, Tajikistan, Turkmenistan, and Uzbekistan. The PVE Network applies a "whole of society" and "whole of government" approach, linking government representatives, civil society groups, academia, international experts, and the UNODC to build the region's resilience and cooperation. The PVE Network for Central Asia functions as a comprehensive framework for parties to share research, evidence, and data to assess and respond to drivers of radicalization, and to understand current approaches and good practices for preventing crimes associated with the radicalization, incitement, and recruitment of individuals for terrorist purposes.